Businesses can hold Paddington bear-raiser drives to help local families remain housed. Hartford, CT, October, 2018- The Connecticut Coalition to End Homelessness has announced that it will once again be joining forces with CT REALTORS®, Citizens Bank, and United Way of Central and Northeastern Connecticut to engage people throughout Connecticut in holding Paddington “Bear-Raiser” drives to help local families. Paddington™ is CCEH’s official “Spokesbear” for the be homeful project, which engages kids, families, and communities in learning about how homelessness affects local children and taking action to help. From now through December, for every $25 donated, a toy bear, book, or baby gift will be gifted to a child in a Connecticut shelter. Funds raised will provide much-needed emergency “shelter diversion” funds that frontline workers can access to help local families remain housed. Citizens Bank, which joined CT REALTORS® Foundation in underwriting last year’s holiday campaign, is also pleased to be back for more. “We share the REALTORS® commitment to making sure no child has to experience the hardship of homelessness,” said Lisa Maass, Citizens Bank CT CEO. “It is remarkable to think that our involvement has made it possible for so many children to remain housed, and we look forward to another great year of helping businesses make a difference in their communities. As part of this year’s campaign, businesses, congregations, and communities will be able to hold “Paddington bear-raiser” drives to help a local family. For every $25 raised, a local child will receive their very own Paddington bear soft toy; for every $1,000 raised, a local family will be able to avoid the trauma of homelessness altogether. Kids will also be able to join in the holiday spirit, holding Paddington “marmalade coin drives” in honor of Paddington’s favorite food. 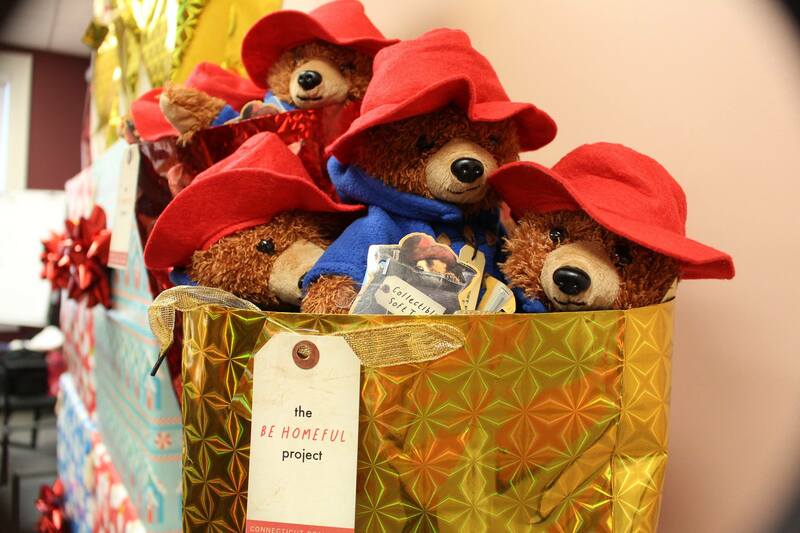 CCEH is providing holiday Paddington bear-raiser kits to companies, congregations, and communities holding drives. To order your own bear-raiser kit, contact Ryan Beach at 860-721-7876 x107 or rbeach@cceh.org. The CT REALTORS® Foundation is a 501c3 charitable corporation whose mission is “To be good neighbors to our members, our communities, and the world. REALTORS® Care.” Its activities include but are not limited to providing scholarships, disaster relief funds, and hunger/homelessness prevention efforts. For more info, visit http://www.ctrealtors-care.org/. They are the sponsor for the plush Paddington™ bears.